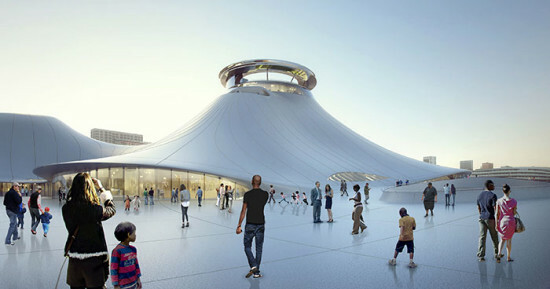 The saga of the MAD Architects–designed Lucas Museum of Narrative Arts (LMNA) continues as a federal judge denies the City of Chicago’s motion to allow construction to begin. 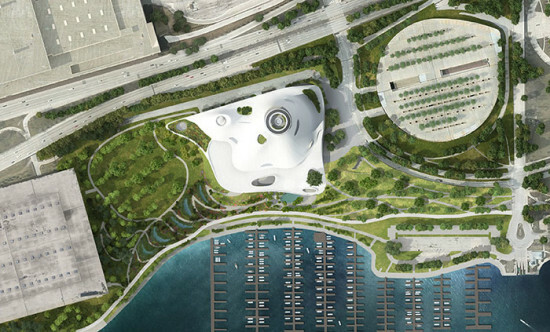 Judge John W. Darrah has decided to maintain the injunction which is delaying the start of construction of the $400 million museum on Chicago’s lakefront while there is still a case against the project. His decision came a day after city lawyers filed a motion to allow the start of construction and expedite the case brought by Friends of the Parks. Earlier this month Judge Darrah agreed to allow the case to move forward after the city presented a motion to completely dismiss it. This latest decision is being seen as a sign that the case is one step closer to going to trial. The lawyers for the City of Chicago argue that the court’s decision to hear the case “in no way establishes that they are entitled to the extraordinary remedy of a preliminary injunction.” The city also noted in the motion that it believed that the case was not a matter for a federal court to hear in the first place, as it is a city and state-law issue. The City also argues that the preliminary injunction was instituted before the Chicago Park District voted to approve the lease for the land, the Chicago Plan Commission voted to approve the project, and before the City Council approved the amendment to change zoning for the site. Now that the project has been approved by all the necessary city offices, the City wants the injunction lifted, allowing for the project to move forward while the case is settled. The case brought by Friends of the Parks was filed in November 2014. 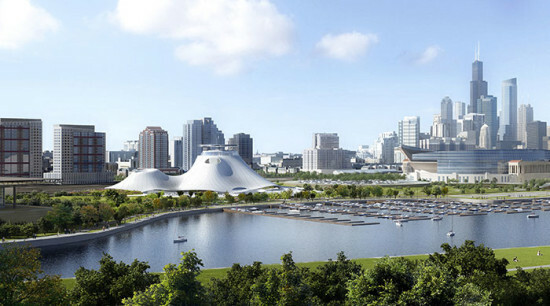 It claims that the negotiations between the Parks District and the Lucas Museum regarding the use of the public land would violate the Due Process and Equal Protection Clauses of the U.S. Constitution, was ultra vires (beyond their legal power) under Illinois law, and violated the Illinois Public Trust Doctrine. Also in the City motion was a warning that Chicago was at risk of losing the museum to another city. Similar issues concerning the use of park land were the initial reason for the museum leaving San Francisco for Chicago. The motion points out, “The preliminary injunction thus threatens the very public interest it is bound to protect: the loss of the LMNA would deprive the City of a world-class museum and all the attendant educational, cultural, and economic benefits, as well as depriving the City of a more beneficial use for the museum site than the current asphalt parking lot.” The “current asphalt parking lot” refers to the surface lot used for the Chicago Bears’s Soldier Field football stadium on the site. Judge Darrah stated that he would have a decision regarding lifting the injunction so that construction could start by mid-April. Beijing-based MAD Architects is working with architect of record VOA Studio from Chicago, and Studio Gang Architects and SCAPE/Landscape Architects for the landscape design.